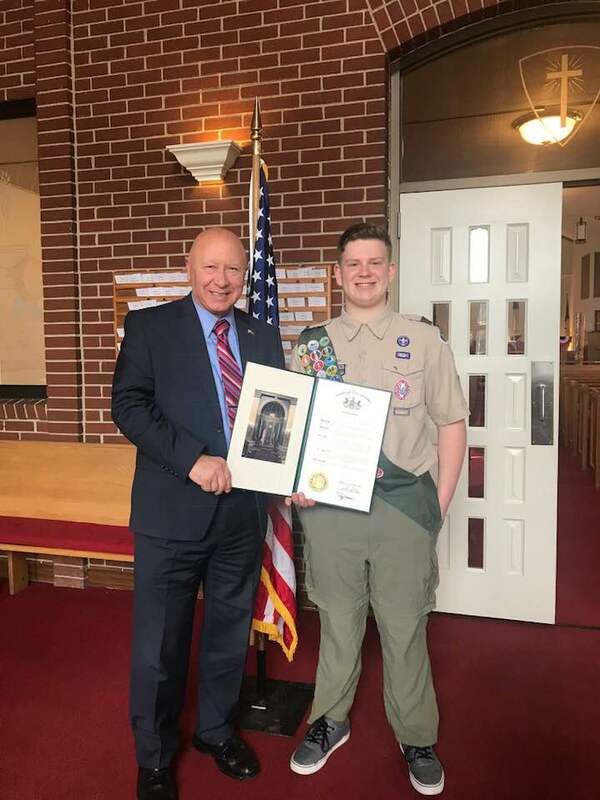 Congratulations to Patrick Vanpell of Troop 29 in Easton on the completion of your Eagle Scout rank. It was a pleasure to attend your ceremony and recognize your great accomplishments. For his Eagle project, Patrick created a dumpster area on the grounds of Faith Lutheran Church in Easton. This included the installation of a concrete slab, sidewalk, fence and gate around the area. In the March edition of the Legislative Report, you can join me for a behind-the-scenes look at “Mario Live,” my weekly call-in radio program on WABT Radio Station Pocono 96.7 FM. The radio program airs Thursday morning from 7 a.m. to 7:30 a.m. during the “Gary in the Morning” show.